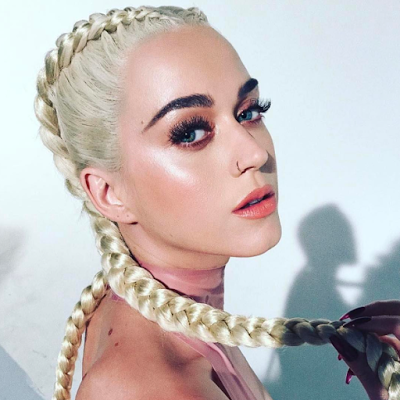 Singer, Katy Perry showed off her inner Kim Kardashian by braiding one of Kim’s most famous hairstyles. She shared the photos and captioned one: ‘Katy Kardashian’. The Kardashian-Jenner clan liked the photos.